The sudden deaths of Mishuk Munier and Tareque Masud on August 13, in a horrible road accident, have left the nation bereft of two very talented individuals whose contributions to their country are incomparable. Filmmaker Tanvir Mokkamel, who knew them for almost forty years, gives a glimpse of the persons behind these rare personalities. How well did you know Tareque Masud and Mishuk Munier? Please give some information on your relationship with them. I knew both of them since my student days, almost for forty years. We were in the same age group and during our youth almost grew up together. During those days, in the late 70s and early 80s of Dhaka, we were involved in the film society movement. We attended film courses and participated in different film workshops together. In the early eighties I made “Hooliya”, a short film, and Tarek and Mishuk began their first documentary on painter SM Sultan “Adamsurat”. Since then we had been in constant touch, did a lot of things together, and you can say, as a simile, that we were on the same boat riding towards a same goal—a better cinema for Bangladesh. Please give us some details on Mishuk Munier's career and life. What do you think was his greatest achievement? He was out of the country for a while. Can you talk about his stint abroad? What made him come back to Bangladesh? What was his vision for Bangladesh? Mishuk was an unusually gifted person. He always used to live low key, but we his friends knew, how talented he was. Mishuk was an excellent cinematographer and knew anything and everything about cameras and visual arts. Later days he was drawn more towards television but he had a penchant for documentaries. He began his career as a documentary cinematographer in Tarek's “Adamsurat”. Later he went abroad and worked for some prestigious international television channels including the BBC and Discovery Channel. Mishuk was a very well travelled man. His vocation as a documentary cameraman and television journalist took him to all different parts of the world. Later he settled in Canada. I still remember the evening he invited me at his residence in Toronto. After dinner he told me with a deep conviction that he would like to come back to Bangladesh, that he would like to contribute to his motherland. And he did come back! I am deeply shocked to lose a friend like him. You are asking about Mishuk's greatest achievement. A versatile person like Mishuk contributed in all different spheres of our cine-culture, especially through his joint ventures with Tarek Masud. But I guess, his greatest achievement was in the sector of electronic media. 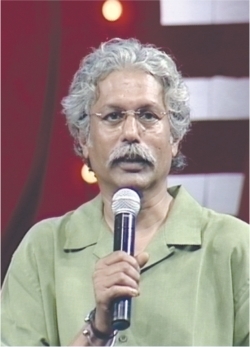 Since the days of Ekushey Television, with people like Simon Dring and Farhad Mahmud, Mishuk was instrumental in bringing in democratic values and technical finesse to the television media of this country. Later, as the CEO of ATN News he brought a sea change in the format and quality of TV journalism in our television channels. And in the process, Mishuk has influenced a whole new generation of young television journalists in a very positive way. They consider him as their guru and will never forget what he had taught then. I believe, that was Mishuk's best contribution to our country and culture. Did he talk about his father Munier Chowdhury? What was he like as a person? As a husband and father? As a friend? It was not easy to be son of such an illustrious father as Munier Chowdhury, especially when such a father was murdered by Pakistani collaborators and Pakistani army. Mishuk was rather reticent about it. And he, though very jovial by nature, was rather a reticent person about his personal feelings. But we his friends knew what used go through his mind. The tragedy of such a gifted father being murdered and the perpetrators never got tried, cast a shadow on their whole family—a very deep, profound and sad shadow. And Mishuk grew up in that atmosphere, sad, but boiling inside. It is difficult for me to comment on the details of his family life as he mostly lived abroad. But I knew how much he was drawn to his family, especially to his mother, wife and son. Mishuk was a workaholic and come what may work always was a priority for him. This kind of person can always be misunderstood by the loved ones. 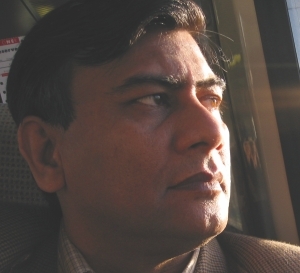 What do you think was Tareque Masud's most admirable trait as a person? What do you think was his biggest achievement as a filmmaker? Can you describe his journey that took him all the way to the US and then back to Bangladesh where he earned so many accolades? Can you talk about how he found Lear Levin? Tareque was a driven man. And the drive was for a secular, democratic Bangladesh with proper social justices. And actually that was the dream of our whole post-liberation generation, who being too young, could not participate in the war but went through all the trauma and witnessed all the sacrifices made by our people during the war. So the theme of 1971 liberation war emerged, repeatedly, almost like a liet motif, in Tareque's films. A lot of people went to America in the 1980s and 1990s from Bangladesh, some young film-makers too. But who else, other than Tareque, searched for archival footages of our war in the cellars of New York? His association with Catherine in this regard was immensely beneficial. Tarek was often a dreamer. But Catherine, with her no-nonsense Western approach towards things, was a great doer. They gelled together perfectly and it was immensely helpful for the cause of better cinema in this country. Tareque's cousin Benu Bhai was a freedom fighter and was a member of the singing squad that used to sing in the guerilla hide outs and in the refugee camps during the war. Benu Bhai figured in the film too. It is through Benu Bhai that Tareque came to know about an American cinematographer who shot a lot of film of their singing group. The only clue that Benu Bhai could provide to Tareque was that the American's name was something like 'Levin'. The rest was a painstaking search for Tareque and Catherine and they finally tracked down our Lear Levin and his invaluable film footages. Tareque told me that when he finally phoned Lear Levin, from the other side of the telephone, Levin said “For the last twenty-five years I had been waiting for such a call. I do not know what to do with these footages. Take it all and take it free.” The rest was history! Tareque's biggest achievement as a film-maker was to bring back the memories of the 1971 war, first through his documentaries “Muktir Gaan”, “Muktir Kotha” and then fiction film “Matir Moina” (Clay Bird), which brought much accolades from home and abroad. Tarek had a deep and profound sense of history. All his major films dealt with history—“Muktir Gaan”, “Muktri Kotha”, or “Matir Moina”. Even his next project “Kagojer Phool” which he was about to shoot, had something to do with history too. It was a prequel of the film “Clay Bird” where the main protagonists of that film were placed in the backdrop of the partition of Bengal in 1947. The riots of 1946, the creation of Pakistan, the language movement in 1952, the six-point movement of the 1960s all were supposed to figure in the film. I think this deep sense of history was Tareque's forte and also the main reason for the success of his films. Besides, the duo Tareque and Catherine were very proficient in the technical aspects of cinema. 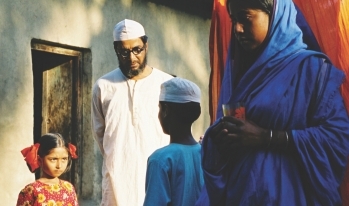 That gave their films an extra finesse which most of the films from Bangladesh generally lack. Can you share some special memories of these two persons, Tareque Masud and Mishuk Munier? When you know someone for almost forty years it is very difficult to say anything definitely about that person, where to begin, what to say and what not to mention! I will only say that both Tareque and Mishuk were very gifted and hardworking individuals. In our country of mediocrity both of them were towering personalities—in their artistic pursuits and in their professional skills. As friends, they were dependable, helpful and someone whom you could count on. We together tried to build up on alternative cinema in this country. We were young, we had no money, but we had a lot of dreams. So we had an endemic struggle with the philistine bureaucrats of the Ministry or the half-educated television channel-owners. We often used to joke about these things and would try to laugh away our frustrations. Both Mishuk and Tarek had great sense of humour and humour was our means to survive and work in this otherwise hazardous working condition in Bangladesh. We had some success. But we also had our share of perspiration, struggles and shattered dreams. But we always remained great comrades-in-arms. Tareque and Mishuk were hard as nails and I will always miss these two highly enlightened and gifted friends of mine. And Bangladesh will suffer an irreparable loss!